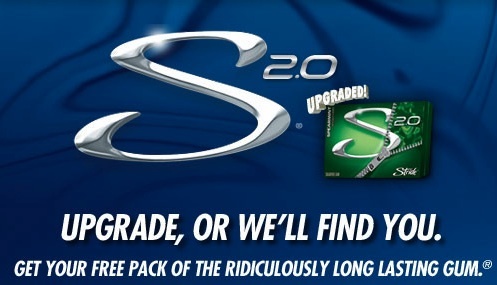 Go here to request your free pack of Stride 2.0 Gum after “liking” them on Facebook! https://i2.wp.com/savvywifehappylife.com/wp-content/uploads/2011/01/stride.jpg?fit=497%2C285&ssl=1 285 497 Brandi https://savvywifehappylife.com/wp-content/uploads/2016/09/SavvyWifeHappyLife-logo-2.png Brandi2011-01-31 18:28:452011-02-01 01:04:53Free Stride 2.0 Gum! Quiznos! Prime Rib Sub only $2.99! I got an email about this earlier! Go here to fill out the short form and print your coupon for a Prime Rib Sub for only $2.99!! https://i1.wp.com/savvywifehappylife.com/wp-content/uploads/2011/01/quiznos.gif?fit=300%2C250&ssl=1 250 300 Brandi https://savvywifehappylife.com/wp-content/uploads/2016/09/SavvyWifeHappyLife-logo-2.png Brandi2011-01-31 17:55:042011-01-31 18:03:10Quiznos! Prime Rib Sub only $2.99! Check out my favorite coupons that were posted on Redplum today! https://i0.wp.com/savvywifehappylife.com/wp-content/uploads/2011/01/Oatmeal-Squares.png?fit=529%2C174&ssl=1 174 529 Brandi https://savvywifehappylife.com/wp-content/uploads/2016/09/SavvyWifeHappyLife-logo-2.png Brandi2011-01-31 17:00:452011-01-31 17:00:45New Coupons on Redplum! Here are two nice coupons you can print out if you are throwing a Superbowl party! The Taco Sauce and shells are pretty cheap at Walmart. And this will also double to $1.50 at some grocery stores! Plus, stack this with the Target store coupon for an additional $0.50/2! Thanks Don’t make me nuts! 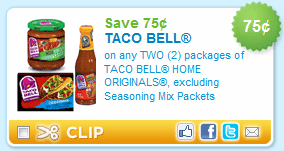 https://i1.wp.com/savvywifehappylife.com/wp-content/uploads/2011/01/taco-bell-coupon.png?fit=284%2C151&ssl=1 151 284 Brandi https://savvywifehappylife.com/wp-content/uploads/2016/09/SavvyWifeHappyLife-logo-2.png Brandi2011-01-31 16:48:312011-01-31 17:01:44New Coupons! HOT! A Box of Gently Used Kids Clothes for ONLY $1 and Free shipping!! Check out this hot deal if you have kids or want to help out someone that does! Deal Pulp (a daily deal site) is offering a $15 box of gently used clothes for $6! Plus sign up through this link to get a $5 credit for new members! After buying this deal for only $1 you will be able to head over to ThredUp where you can pick out the sizes of the clothes you’ll recieve in this box. Fine Print: Limit 1 per person. May buy 1 additional as gift. Expires February 1, 2012. New thredUP.com customers only. Within 6 hours after the deal expires, you will receive a promo code by email that can be used to redeem the deal on thredUP.com. https://i1.wp.com/savvywifehappylife.com/wp-content/uploads/2011/01/deal-pulp.jpg?fit=620%2C217&ssl=1 217 620 Brandi https://savvywifehappylife.com/wp-content/uploads/2016/09/SavvyWifeHappyLife-logo-2.png Brandi2011-01-31 12:54:092011-01-31 12:54:09HOT! A Box of Gently Used Kids Clothes for ONLY $1 and Free shipping!! High Value $1/1 Athenos Coupon! 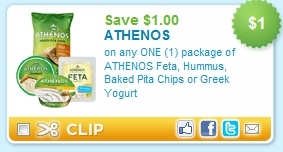 Use this new coupon to score $1 off any Athenos Product. Their Greek Yogurt is priced around a dollar at Walmart and some grocery stores, so print if you’re interested! https://i0.wp.com/savvywifehappylife.com/wp-content/uploads/2011/01/athenos.jpg?fit=283%2C152&ssl=1 152 283 Brandi https://savvywifehappylife.com/wp-content/uploads/2016/09/SavvyWifeHappyLife-logo-2.png Brandi2011-01-31 10:44:342011-01-31 10:44:34High Value $1/1 Athenos Coupon! 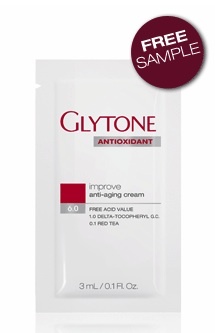 Free Sample of Glytone Anti-Aging Cream! Head over here to Glytone’s Facebook page, like them, and then request a free sample of their Anti-Aging Cream! https://i0.wp.com/savvywifehappylife.com/wp-content/uploads/2011/01/glytone.jpg?fit=215%2C333&ssl=1 333 215 Brandi https://savvywifehappylife.com/wp-content/uploads/2016/09/SavvyWifeHappyLife-logo-2.png Brandi2011-01-31 10:38:352011-01-31 10:38:35Free Sample of Glytone Anti-Aging Cream! 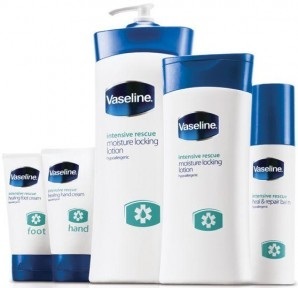 Free Sample of Vaseline Intensive Rescue! Copy and paste the link below to request a free sample of Vaseline Intensive Rescue! https://i2.wp.com/savvywifehappylife.com/wp-content/uploads/2011/01/vaseline.jpg?fit=298%2C288&ssl=1 288 298 Brandi https://savvywifehappylife.com/wp-content/uploads/2016/09/SavvyWifeHappyLife-logo-2.png Brandi2011-01-30 21:48:412011-01-30 21:48:41Free Sample of Vaseline Intensive Rescue! Last Call to Print Coupons! At the end of every month coupons reset and some will disappear! Luckily, new coupons will come but you never know which ones will be gone. Print them tonight just in case! https://savvywifehappylife.com/wp-content/uploads/2011/01/coupons1.bmp 0 0 Brandi https://savvywifehappylife.com/wp-content/uploads/2016/09/SavvyWifeHappyLife-logo-2.png Brandi2011-01-30 21:31:192011-01-30 21:32:29Last Call to Print Coupons! Target: Free Reese’s Peanut Butter Cups! YUM! This is one of my favorite candies! Final cost = Free! woohooo! https://i0.wp.com/savvywifehappylife.com/wp-content/uploads/2011/01/Target_logo2.gif?fit=999%2C226&ssl=1 226 999 Brandi https://savvywifehappylife.com/wp-content/uploads/2016/09/SavvyWifeHappyLife-logo-2.png Brandi2011-01-30 21:10:542011-01-30 21:10:54Target: Free Reese's Peanut Butter Cups!